The weather may be chilly outside, but that does not mean your events have to be boring! Elite Event Services offers entertainment to kick those winter blues! An event could be a holiday party, special occasion, or simply a social gathering. During the winter months, casino and carnival events are super popular! We have a wide variety of casino tables that include all of the accessories in the rental fee. If you need casino dealers, we are able to provide those too! For a carnival themed event, we have tub games, framed games and inflatables! We set up, run, and tear down all equipment! Besides entertainment, we do offer special beverages that can be personalized to each occasion. A few favorites during the winter are coffee or hot cocoa bars. We provide all of the necessities to make this a hit at your party! Need a sweet treat with your coffee? 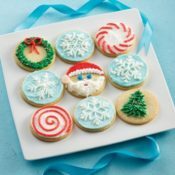 Look into our cookie decorating! This is creative and fun for all ages. We also offer arts and crafts – some of them are even themed! Sand Art and Foam Art are always a great idea to keep the littles busy. Additionally, we provide holiday ornaments in various themed shapes to brighten the mood! Plus, these arts and crafts are perfect to take homeso you can remember the event for years to come! 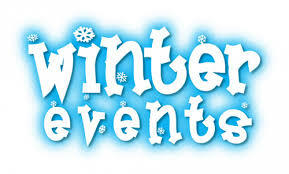 Another perk about planning a winter event is the chance of specific items being available for rent. With the blustering winter weather, some of our popular items in the spring and summer are not being sought after due to the weather. Take this opportunity to rent the piece you have been eyeing and place it inside a gym, a large hall or banquet center. For more information regarding rentals, please feel free to reach out to the office or visit our website!